At least 20 to 30cm wide. Strawberries have a spreading growing habit and shallow roots. A wide, shallow container is a good choice. Most importantly, the container must have good drainage. Also, select a pot that is light colored; this will help keep the plant’s roots cool in the summer. 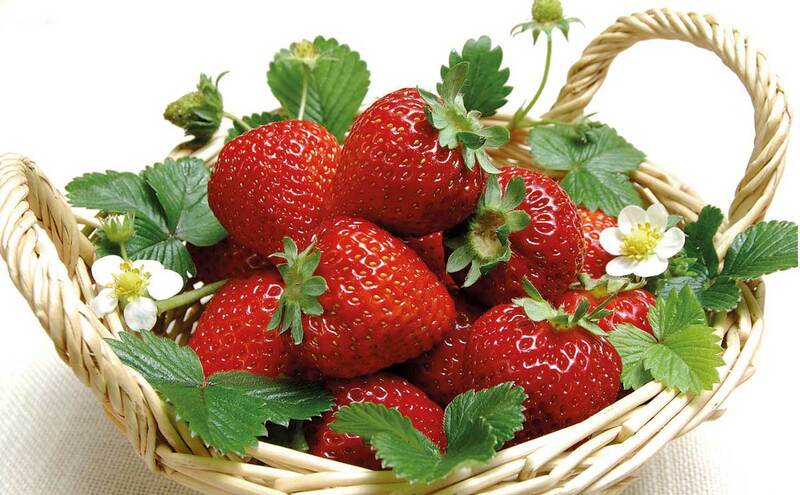 Keep strawberry plants 25cm apart, with no more than 3 or 4 plants in a pot, leaving some room between them. Defined as six or more hours of sunshine per day. Strawberries like a slightly acidic soil. By mixing compost and manure into the soil, you will provide nutrients as well as improve soil structure. When watering, try to keep moisture off the leaves to prevent fungal diseases spoiling the fruits. If you can, carefully lift the leaves to apply water to your pots, or water from the bottom. With a high potash liquid fertilizer as soon as the first flowers appear. Since many diseases that strike these vegetables also strike strawberries. To encourage more flowers, strong root growth, and bigger berries. Separate them from the mother plants as soon as they have formed roots if you want to increase your strawberry supply. Plant these babies out into pots or soil where you have not grown strawberries before, as these plants should never grow in the same soil as a previous season’s crop. If slugs are a problem, use a small saucer of beer placed near strawberries, which attracts and drowns slugs. The more berries you pick, the more the plant produces. Ideally, pick strawberries at the warmest part of the day, because this is when they are at their most tasty. Wash strawberries only before eating them. This is important for two reasons. Strawberries are like sponges, so once wet, they soak up every bit of moisture, making them more likely to get mushy and spoil faster. Also, wet berries are more apt to get moldy. Keeping the stems on until you’re about to eat the strawberries will prolong their shelf life. If you notice any moldy berries in the container, remove them immediately. If you don’t plan to eat your strawberries the day you bring them home, the best place for them is in the crisper drawer of the refrigerator. It helps to maintain humidity and keep the berries from losing moisture and becoming dry. Remove the berries from their original container, and store them whole and unwashed in a partially closed container lined with paper towels to absorb any excess moisture, preferably in a single layer so they don’t get crushed. They should last five to seven days. If you don’t use strawberries within a few days of bringing them home, store them in the freezer. Remove the stems, halve or slice them if you like, then freeze in a single layer on a baking sheet until solid. Store in an airtight container or ziptop freezer bag. You can store strawberries in the freezer for up to six months.